ABS Elite - Access Locksmiths (Leeds) Ltd - Always the first choice. Standard barrels that are fit in UPVC doors can seriously compromise the security of the whole door. The multipoint lock is only as strong as the cylinder that is fit in it, and thieves have realised this and lock snapping is now the number one method of entry for burglaries. 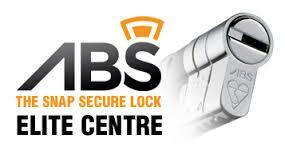 We at Access Locksmiths have done all we can to keep up with the technology involved in keeping thieves out of your home, and in 2011 we took on the Avocet ABS range of Snap Secure cylinders. The ABS cylinders featured prominently on recent TV shows (Look North, Inside Out) that highlighted the problem of lock snapping, and we stock the full range of cylinders for your needs. Not only do we keep the cylinders however, as an Elite Centre we also have the facility to cut keys in our shop whilst you wait. For any more information, including how to measure your existing cylinder or to book us in to come and do the upgrade for you, please just give the shop a call and speak to one of our locksmiths.